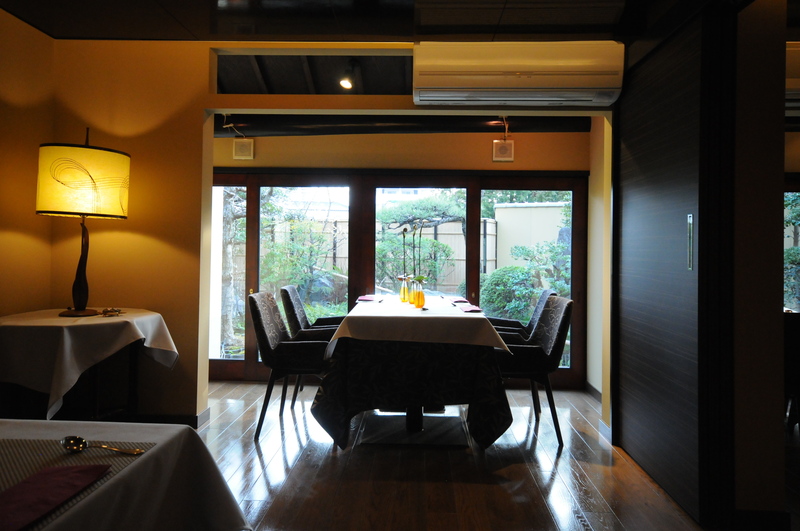 At Hana no Utage, we have prepared each room with its own concept, ranging from views of the changing seasons from your table, to elaborately designed interiors. 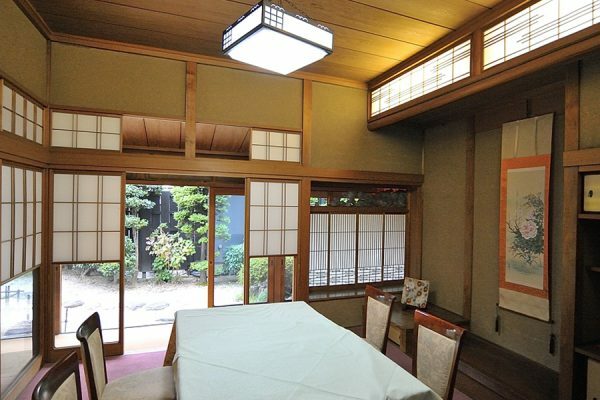 This room overlooks Hana no Utage’s main garden, with its gazebo, terrace, and more. When weddings are held here, it’s like a beautiful scene from a movie. 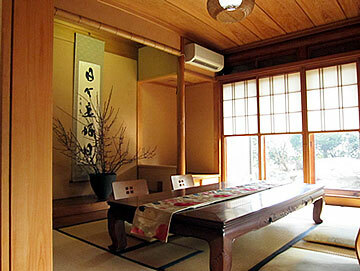 In this room you can see the blooming azaleas in the beautiful green foliage of May. With the large window looking onto the Japanese Garden, the calm atmosphere will take you to a new level in relaxation. 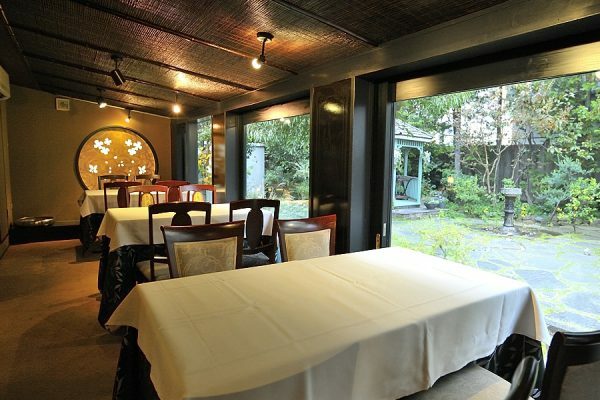 Immediately on your left as you come into the entryway is the well-kept garden that is the face of Hana no Utage. In spring, the weeping cherry tree blossoms, creating an incredible feeling of spring. This simple, modern space also provides a wonderful display of the changing of the seasons. 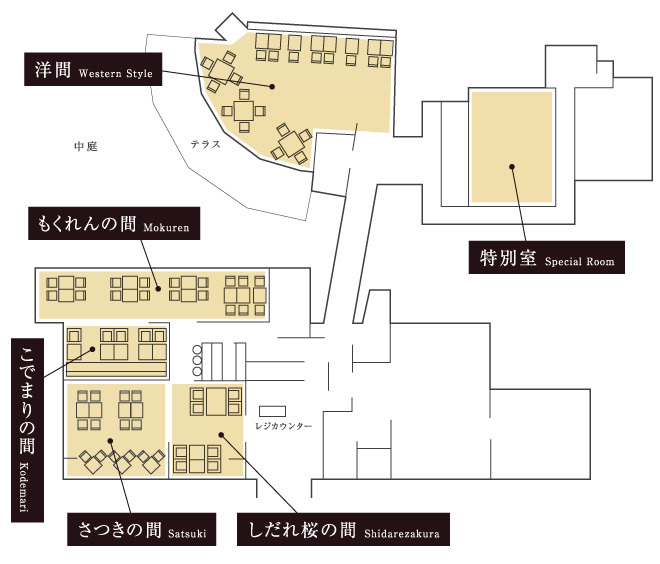 This room symbolizes Hana no Utage’s newly added “contemporary” concept. 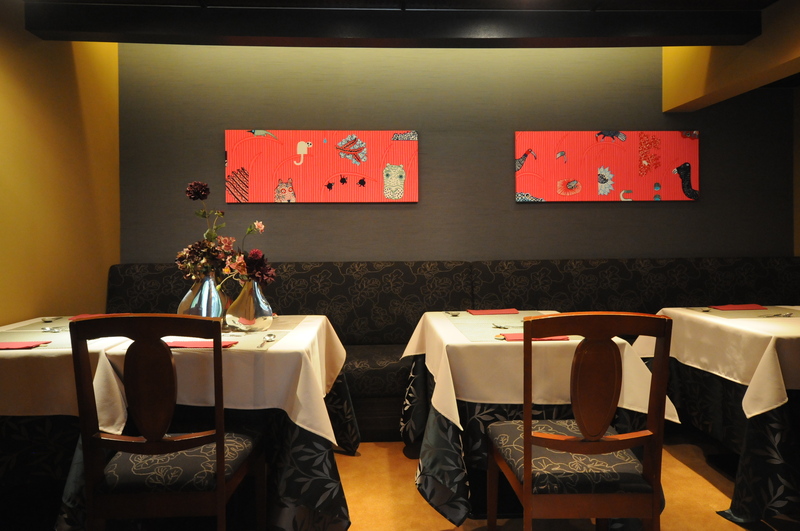 Arranged mainly with tables for two, we recommend this room for couples who want to enjoy adult conversation over delicious cuisine. This room is quite impressive with its high ceiling painted in a gentle hue. 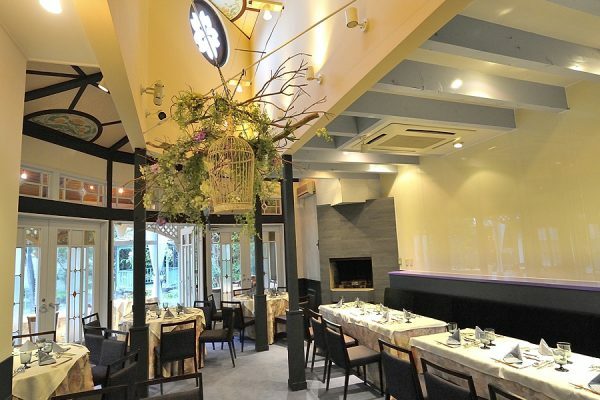 The fireplace in the middle of the room creates a wonderful atmosphere & enhances the mood of the room. 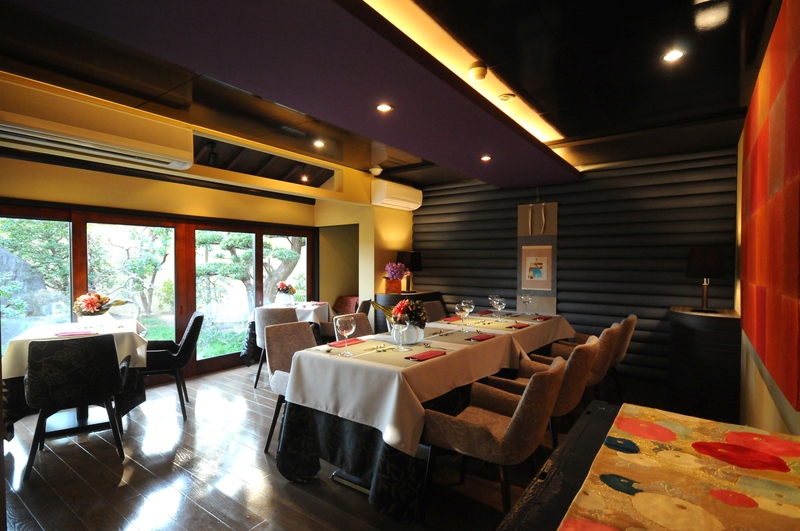 We have left this elegant private room unchanged from when it was an old private house. 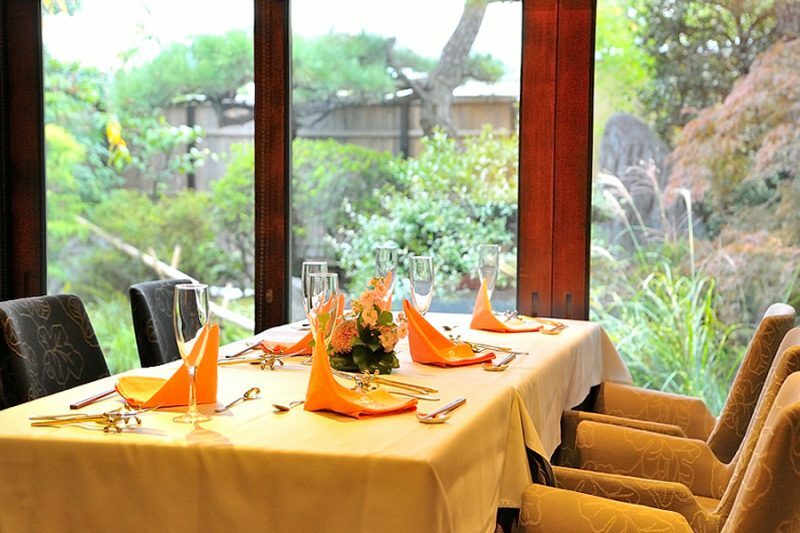 It is perfect for engagement ceremonies, or other special gatherings, and also has a wonderful view of the Japanese garden. Please use it for situations such as special face-to-face meetings, memorial dinners, and such. © 2019 hana no utage All Rights Reserved.